In short: We can now estimate, based on observations, how sensitive the temperature is to carbon dioxide. We do not need to rely heavily on unproven models. Comparing the trend in global temperature over the past 100-150 years with the change in "radiative forcing" (heating or cooling power) from carbon dioxide, aerosols and other sources, minus ocean heat uptake, can now give a good estimate of climate sensitivity. The conclusion—taking the best observational estimates of the change in decadal-average global temperature between 1871-80 and 2002-11, and of the corresponding changes in forcing and ocean heat uptake—is this: A doubling of CO2 will lead to a warming of 1.6°-1.7°C (2.9°-3.1°F). This is much lower than the IPCC's current best estimate, 3°C (5.4°F). Mr. Lewis is an expert reviewer of the recently leaked draft of the IPCC's WG1 Scientific Report. The IPCC forbids him to quote from it, but he is privy to all the observational best estimates and uncertainty ranges the draft report gives. What he has told me is dynamite. Given what we know now, there is almost no way that the feared large temperature rise is going to happen. Mr. Lewis comments: "Taking the IPCC scenario that assumes a doubling of CO2, plus the equivalent of another 30% rise from other greenhouse gases by 2100, we are likely to experience a further rise of no more than 1°C." The big question we have left is what all the climate change scientists will do to get their grant money. I've discussed mass casualty events before and why banning guns isn't a solution. If you're interested, do a quick search and read the posts. I had a new thought on it, though, and decided to share. I never want to be a victim of a mass casualty atrocity, but if I had to choose one, I'd choose a shooting. Why? 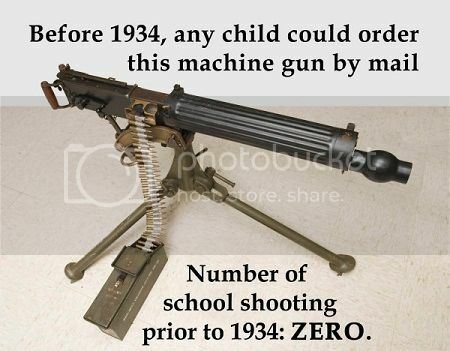 Because you can not shoot back to stop a bomb like the ones used in the 1927 Bath School Disaster in Michigan. Some people have wondered why the recent Clackamas Oregon mall shooting wasn't worse. The guy was armed for boar, so he should have killed more people. It appears as though the very presence of potential opposition, without any shots ever being fired by a CCW holder, may have ended the atrocity. We don't want crazy people to start making bombs. If I were forced to make a choice, I'd rather face a gun and I'd rather face it armed so I can help save my life and the lives of innocents around me. More bans won't stop people who already choose to obtain firearms (most often illegally) and then use them in a manner that is positively illegal. Anyone who derives any sense of security from the idea of government taking away from lawful people the right and tools to defend themselves and others has some serious thinking to do on the topic. Today we've witnessed another atrocity in Connecticut. I've addressed the issue before and still firmly believe the only way to mitigate the disaster of a mass murder event is to have more first responders ready to stop it. 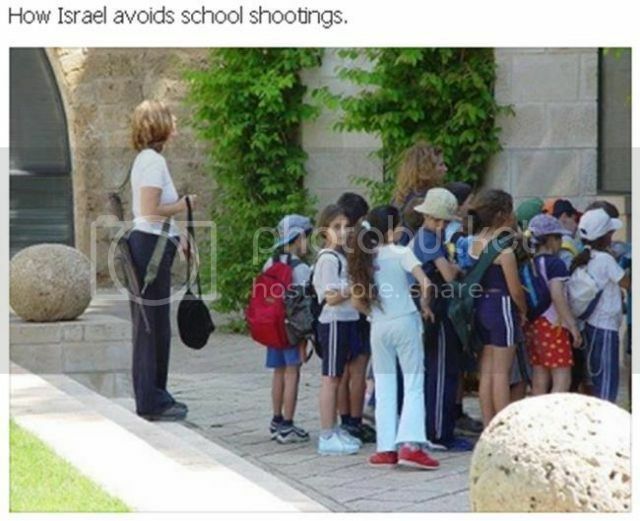 Schools are gun free zones. Criminals and crazy people treat them as opposition-free, target-rich environments. History shows that lawful citizens almost never misuse firearms. Governments and criminals constantly do. I find no comfort in the proposals from the Left to limit ownership of firearms to governments and criminals. There is no greater safety in that course. Initial assessments suggest the man is mentally ill, Chinanews.com said, citing Guangshan authorities. China was hit by a spate of knife and cleaver attacks that targeted school children in 2010. A number of measures were introduced at the time, including increased security at schools across the country and a regulation requiring people to register with their national ID cards when buying large knives. Gun control doesn't help. Knife control doesn't help. Prepared people with the means and willingness to defend themselves and others can help. I saw this article: France's Jean-Marc Ayrault slams flight of the 'greedy rich' and thought, "Well, that's going to work so well, Prime Minister." When France was proposing sky high taxes for the wealthy, we crazy libertarians and conservatives said, "If you continue to vilify the rich and tax them at excessive rates, they will flee your political state for friendlier territory." Now that's coming to pass (note: Johnny Depp fled back in September) and the solution is further vilification of the rich? If you make it plain you hate people for doing well and intend to confiscate what they've worked hard to earn, what do you expect them to do?